Leftist activists have gone off the deep end. 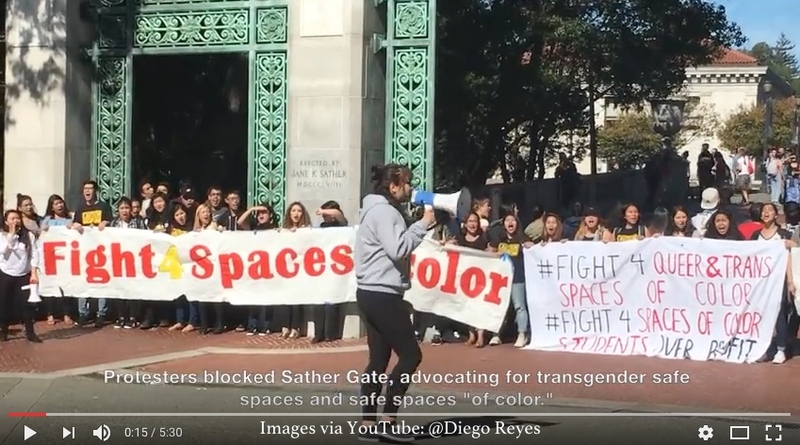 Last week, Students at the University of California, Berkeley blocked bridges and campus stores. They heckled and spat at white students and campus police officers. You can watch video of the protest here.